After I discussed a possible backup solution using rdiff-backup in the last part of this series I want to show you the second tool which is rsnapshot. As I already pointed out, I'm not using rdiff-backup anymore. The reason is mainly that it is simply too slow. I'm using a Raspberry Pi as my NAS and it is absolutely not capable of handling larger backups with rdiff-backup. It works for smaller backup sizes, but not for my entire home directory. Even when I pushed the initial full backup directly to the backup disk (not using my Raspberry), all future incremental backups were still unbearably slow. Even when no files changed at all, it took hours over hours for simply comparing all the files I had in my home directory to those on the NAS, whereas a full comparison using rsnapshot is done within five to ten minutes. Now keep this in mind and look at the fact that incomplete backups made with rdiff-backup can't be resumed. You could imagine that in the end you wouldn't have any backup at all. Basically all rdiff-backup would do is to compare and push your files over the day and abort in the evening when you shut down your workstation. And then the next day it would spend all the time reverting the incomplete backup and running another one which might not finish either. So this is the main reason I stopped my experiments with rdiff-backup. It was a nice time, but I finally moved on. Therefore say hello to our new precious star: rsnapshot! Backups are a very vital part of every computer system, be it a corporate PC network or simply your local workstation. Unfortunately, they are often neglected, although everyone knows how important they are. The “I haven't had any bad incidences yet, but I know I really should… guess what… I'll do it next week” attitude is only too well known by everybody, including myself. Performing backups is a tedious process if done wrong. Thus backups need to done automatically in the background without any user intervention. As soon as someone feels the need to do something in order to get his stuff backed up, he will ultimately end up with no backup at all (and probably a bad conscience he only forgets too fast). In this little two-part article series I will present two tools I've been playing around with a lot and I'll show you how you can use them to set up your own personal NAS with a spare piece of hardware such as a Raspberry Pi. No need for any expensive special storage system. Google is shutting down their Feedburner API and I am shutting down Feedburner and will continue with my own self-hosted feed from now on. Those of you who have been using the RSS feed don't have to do anything, but as an Atom feed subscriber this means you should check your subscription (most people use the Atom feed). Please make sure the feed URL you have saved to your feed reader is http://www.refining-linux.org/feeds/atom10.xml/ (you may also use HTTPS). 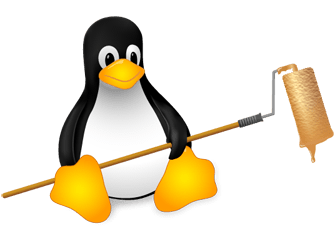 Until now that URL was redirecting to http://feeds.feedburner.com/RefiningLinux which has now been deprecated. The old Feedburner URL will redirect to my Atom feed for the next 30 days and then deliver an error 404, so please make sure you update your subscription within that time. Thank you and please accept my apologies for the trouble. Yay, Refining Linux got a face-lift! This blog has now been up for a good one and a half year and nothing has changed much since it started. Now it’s time to give it a redesign (if you ask me, this was long overdue). While the main appearance stays the same, the details have changed significantly. Let me walk you through the new goodies. Tomorrow this blog will be blacked out for 12 hours starting at 1400 CET (1300 UTC or 8 AM EST). With this initiative Refining Linux is following the protests against the Stop Online Piracy Act (SOPA) and the PROTECT IP Act (PIPA) proposed by US legislators and the media industry. Many huge Internet companies and organizations such as Reddit and Wikipedia participate in these protests. Also companies such as Google, Amazon, Facebook and of course non-profit organizations such as Mozilla and many smaller groups support the protests against SOPA and PIPA.